As crazy as it sounds, a delicious roast chicken may really be the answer to scoring a lifetime of love with your prince or princess. While many of us have fantasized about falling in love with our very own prince or princess charming, we might not have imagined that the ultimate proclamation of undying devotion would involve a chicken. But for actress Meghan Markle, who loves to cook, a roast chicken dinner played center stage on the night Prince Harry proposed — and it falls right in line with the legendary belief in an "Engagement Chicken." Superstar chef Ina Garten, who is well known for many of her famous chicken recipes (which her husband Jeffrey loves! ), reached out on Twitter to congratulate happy couple on their engagement and dinner choice. "Congratulations to Prince Harry and Meghan! I always knew roast chicken had magic powers!! I'm so happy for both of you!" Garten posted. Her tweet has been liked over 5,000 times. And it looks like Markle is a big believer in the power of poultry, too, saying earlier this year that “there is nothing as delicious (or as impressive) as a perfectly roasted chicken.” And a love of roast chicken may even run in the royal family. Prince William recently revealed it’s one of his favorite things to cook, as well. While we're sure that whatever version of the dish Markle and Harry were making that magical night was delicious, she isn't the first to successfully roast a chicken and then get engaged. In fact, Glamour's famous "Engagement Chicken" recipe has been around for decades and even spawned a book,"1,000 Recipes Every Woman Should Know: Engagement Chicken and 99 Other Fabulous Dishes to Get You Everything You Want in Life." The so-called legend began in the early 1980s when magazine editor Kim Bonnell relayed the recipe to Kathy Suder, her assistant at the time. 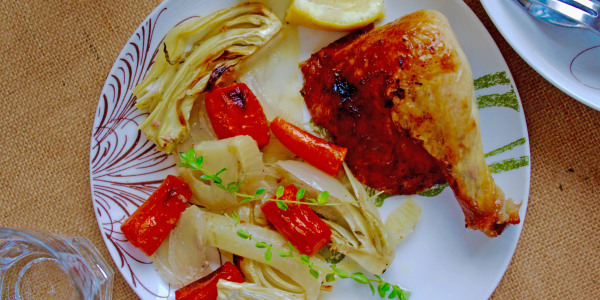 Suder made it for her boyfriend — and he proposed soon after tasting this magical chicken! Since then, dozens of women have credited the recipe to helping them snag the ultimate diamond ring. Today, everyone from Ina Garten to Chrissy Teigen has their own take on a roast chicken that they promise will result in romance. But is there any truth to the idea that a juicy bird will actually win over a loved one and push a relationship to the next level? "We always hear that the way to a man's heart is through food. Chicken isn't exactly known as an aphrodisiac — but it's a sign that Meghan isn't only a successful smart woman, but one who appreciates the simple things at home,” Andrea Syrtash, relationship expert and author of "Cheat on Your Husband (With Your Husband)," tells TODAY Food. 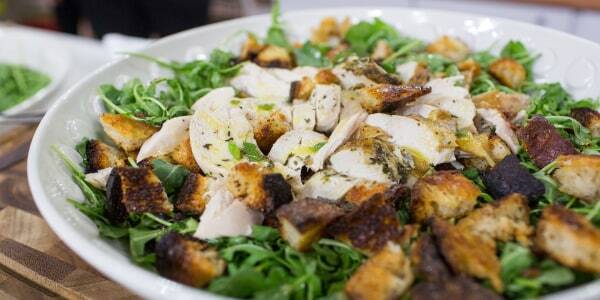 So why does this particular chicken recipe seem to do the trick? 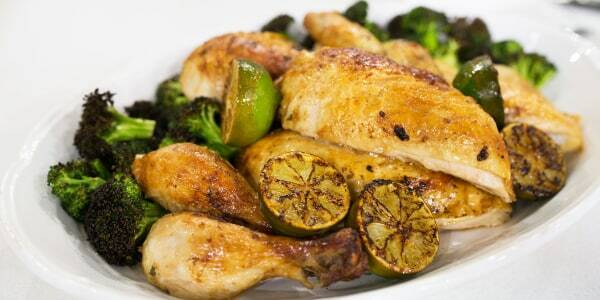 “The recipe calls for chicken, lemon, herbs, salt and pepper, and is purported to be extra juicy, tender and delicious," Antonia Hall, psychologist, relationship expert and sexpert,tells TODAY. "Bonnell [the editor who popularized the recipe] says it's something about the lemon. It probably taps into a genetically encoded human experience." But Hall admits there's probably a larger psychological element at play, adding that "a romantic meal cooked for your sweetheart with intent could also be assisting the romantic process." So Harry proposed while they were roasting a chicken and I'll bet anything Meghan was making that engagement chicken recipe. That recipe works, I got a proposal after making it! So the act of making anything delicious, cozy and comforting — be it a pot roast or lasagna — may work just as well. Plus, it's important to note that Markle didn't say she made the chicken for Harry, but rather that they were cooking dinner together which may symbolize a more equal partnership for the modern era. 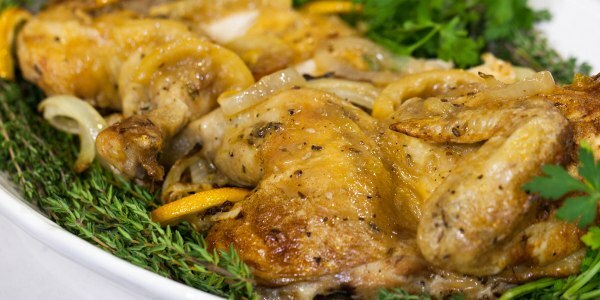 Either way, the simplicity and elegance of a classic roast chicken has pretty universal appeal and we love that this food lore is now getting the royal treatment.